Favorite quote: "If people refuse to accept you, I'll just accept you even more." The main protagonist of the story, Shidou is a student of Raizen High School. He was adopted into the Itsuka family when he was "abandoned" by his mother. He possesses a strange power that allows him to seal the powers of a Spirit in his body with a kiss; however, the seal will only work if the Spirit holds enough trust or affection toward him to allow it. Although considering trust and affection is a two-way street he probably needs to have a certain amount of affection too, or at least genuinely want to help the spirit from the bottom of his heart which he usually does even before seeking out a spirit. Due to this power which was already known by Kotori Itsuka he was recruited—or rather forced—to join "Ratatoskr" to help and save Spirits. Instead of killing Spirits to prevent spacequake from happening, he has to seal the Spirit's powers with a kiss in order for them to co-exist with humans. Shidou met his real sister at volume 3 which was Mana Takamiya. Shidou, Mana and Kotori can't remember much about what happened 5 years ago because a certain "Spirit/person" locked their memories away, and at that time Shidou met Origami and helped her which was the cause as of why Origami fell for Shidou. Once the power of a Spirit is sealed within Shidou, he has the ability to use some portion of it, thus his resurrection power is from Kotori's abilities when he sealed Kotori's Spirit 5 years ago. Zougou Saeko voices his female counterpart, Itsuka Shiori. An average teenage boy that originally had no interests in the opposite gender until he got forced to be by his little sister. Basically, he has to deal with females on a constant basis, which he is not used to. 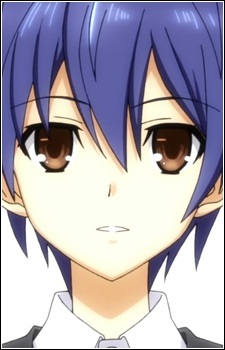 Shido is also a very kind-hearted person, and can sympathize with others; these traits are what caused most of the Spirits to fall in love with him, as the thing they seem to lack most of all has always been a person who can do exactly this: i.e. accept and understand them. Even Miku, who treated everyone like puppets, ended up changing her world view because of him. He also possesses a strong will and a friendly willingness to forgive others. He will press on to save the Spirits despite great personal risk to himself. When responding to Natsumi's comment about the trouble she caused him, he compares her actions to what he went through during all of his past attempts to help spirits and can only call her actions childish pranks: this is a girl who nearly ruined his reputation and erased all his friends and would've then erased him had she succeeded. Shido has the mysterious, and unique ability to seal the powers of the Spirits into his own body, which was first discovered sometime in the past when Kotori was turned into a Spirit. To use his ability to seal a Spirit’s power, the Spirit in question must meet a certain condition or requirement. Those conditions or requirements are that, the Spirit in question must show affection, trust, closeness, and/or intimacy towards Shidou. Once these conditions of affection are high enough between Shidou and the Spirit in question, he can seal their power by kissing them on the lips. Depending on the Spirit itself and how much power they originally had, Shidou can either seal a majority of their power or all of it. Shidou can also “borrow” the power of a Spirit he sealed, but it depends on how close or intimate he is with that Spirit. This explains the nature of his regenerative abilities. However, it seems that using a Spirit's power (other than regeneration) taxes his body with great pain. Thus far, he has automatically used Kotori's healing powers and has learned to use Tohka's Sandalphon, and later even summon Yoshino's ice. He was, however, unable to call these powers out of his own free will until the case with Natsumi, where he finally pulled out Sandalphon intentionally. Also, due to the sheer amount of Spirit energy sealed inside of his body, Shido has been shown to possess a level of protection or immunity towards the abilities of other Spirits, being able to withstand Kurumi's City of Devouring Time with little effort, as well as being unaffected by Miku's Solo. Should the Spirits' emotions become unstable enough, their powers will begin to return to them and leave Shido. This means he'll have to seal them again should their powers fully return to them, but usually this only results in the Spirits temporarily regaining portions of their original power; however, as shown in the cases of Kotori, and much later on Tohka, it is possible for the Spirits to take back their full powers without the need to become emotionally unstable. A (seemingly) normal sibling relationship, Shidou deeply cares about Kotori (as a big brother) to the point that, he believed a fake promise made by Kotori which is no matter what happens, even if there's a spacequake, she will wait for him at the family restaurant. Shido shares an especially close bond with Tohka that goes beyond the level of mere friendship. He was the one who gave Tohka her name, based on the day of their first meeting, April 10th. Shido cares very deeply for Tohka, as shown on many occasions, always going out of his way to make her happy and teach her the ways of the world. In fact, his feelings of caring towards Tohka is so strong that, when she was captured by DEM, Shido prioritized saving her above all else, despite the grave risks involved and the enormity of the odds stacked against him. Later on, as Shido was about to be killed by Ellen right before her very eyes, Tohka fell into deep despair and unleashed her Inverse form, going on a rampage that almost cost Shido his life. However, even when faced with Tohka's berserk state, Shido still refused to give up on saving her, ultimately bringing Tohka back to her senses with a kiss; further emphasizing the deep level of trust and affection between the two. Reine Murasame: Shido treats Reine like a normal person, although he often tries to correct her when she gets his name wrong. Compared to the rest of the Fraxinus' crew, Shido has a much easier time communicating with Reine, despite her habit of getting his name wrong. Yoshino: Shidou is Yoshino's new hero, savior, and the next person she depends on besides Yoshinon. Yoshino respects Shidou a lot and looks up to him as a little sister would look up to an older brother. Yoshino trusts Shidou greatly and is grateful for him in finding Yoshinon. This trust is what allowed Shido to seal her powers. Kurumi Tokisaki: The first time Shidou met Kurumi she immediately revealed herself to be a Spirit and attracted his attention. During their first date, he learned she was also the first Spirit he'd ever dealt with who was actively on the offensive. After witnessing Tokisaki kill someone mercilessly, Shidou was left horrified and conflicted, unable to think of what to do until Tohka explained to him that in the end any Spirit, like her, could've become like Kurumi if they had been left alone. He thus resolves to save her, despite being terrified of her and knowing that she intends to eat him. Later on, Shidou was even willing to team up with Kurumi in order to save Tohka from DEM. To date she is the only spirit he has failed to seal, however, she has indeed fallen for him, arguably before he even started to date her, and is something of a Yandere towards him. She is also very teasing, especially after she witnesses Shidou having to dress up as a girl to deal with the Spirit, Miku, and openly jokes about it, much to his dismay. Miku Izayoi: At first, Miku hated Shidou, but only because of his gender, as she hates men in general due to an event that happened to her in the past. Despite this, Shidou still cares for her and is willing to help Miku overcome her hate for men, even going as far as crossdressing in order to just be able to speak to her. Shidou also did the dangerous act of stopping her berserk state, and also protected her from several grave assaults. In the end, Miku overcame her trauma and her feelings toward Shido changed. Later on, Miku declared Shidou as her boyfriend, calls him "darling," and shows her affection toward Shidou without hesitation, much to Shido's chagrin. Friends, acquaintances, and/or classmates, depending on which one he talks to. But overall, he usually has a mundane or normal relationship with any of his classmates. After Tohka and Origami began competing over Shido, however, many of his male classmates became very jealous of him. Shidou originally lived 30 years ago, during the time of the first spacequake. He actually met the First Spirit back when she was a mere blank slate when she was summoned into the world, befriended her and gave her the name "Mio Takamiya." Unfortunately, Westcott tracked them down and mortally wounded Shidou while attempting to capture Mio, who saved his life by absorbing him into her body and carrying him in her womb. By becoming Shidou's surrogate mother, Mio recreated him as a new kind of human.